;-), I see a super huge fav. The series is so poetic. 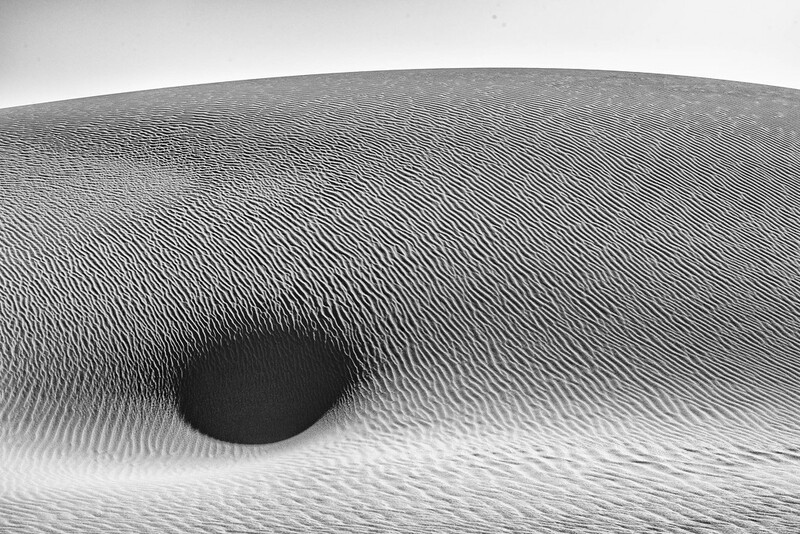 I immediately thought, "the bellybutton of the sand dune?" before even reading your description, Domenico! Poetic, indeed, Mona. or the eye of dune... (actually I saw the top of a bird's head and its eye). Macro of a belly button. Awesome! I see this more as a black hole (as in the space version). Whatever, it's another fabulous sand image. Or possibly a portal to the other dimensions...? Beautiful! I saw it as an eye. @mona65 😊 Thank you so much! @jyokota Thank you, my friend. I think silence dominates these photos. @m2016 Thank you very much! @overalvandaan It's all in the eye go the beholder... Thank you! @mbrutus Haha, well, it looks rather flat as a belly... Thank you! @craigwantsnack Thank you a lot! @golftragic I like that you like it giving it an entirely different meaning. Thank you so much! @kmwilliams Thank you so very much, Kate! @cocobella Thank you so much! @bella_ss Thank you, Sheralee (is this your name, isn't it?). I believe that whatever product of creativity belongs to the public, once it has been released by the author. So, I'm more than happy that you like it seeing what you want! Love the title and your narrative! It would be a winner of the current minimalist challenge. Looks suspiciously like where the sand worms come to the surface in Dune! Whale's eye for me. Splendid! @taffy Thank yo very much! @yaorenliu Sadly, taken a few years before the admitted time span... Thank you! @s4sayer Thank you so much, Margo! Yeah! It probably spends a lot of time gazing at it! @domenicododaro Yes, Sheralee is my name. Do people call you Dom for short or Domenico? We tend to shorten a lot of names here so sometimes I get Sher (share) but mostly Sheralee. Must have been a very old dune, all those wrinkles. Do very much love the simplicity of this. you have 3 of your sand shots on the curated page. is that not cool or what? @summerfield Either it is so very cool or the magic monkeys have run short of fantasy... Thank you so much, this is SUPER cool! It absolutely is a navel, again very sensual and pleasing to the eye - beautifully shot! @kerosene Isn't it? Thank you!